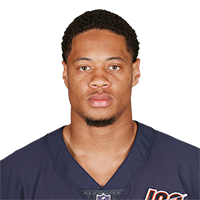 Analysis: Irving played only 116 defensive snaps across 13 games with the Bears last season, logging eight tackles during that time. The third-year linebacker will serve as a backup to All-Pro Khalil Mack (knee) in 2019. Analysis: Irving was expected to play a key role at outside linebacker for the Bears this season, but the addition of All-Pro Khalil Mack in September undoubtedly was a factor in his reduced role. The 24-year-old didn't play a defensive snap until Week 8. Irving is an exclusive rights free agent, giving the Bears the means to keep him in Chicago through next season should they want him to return. 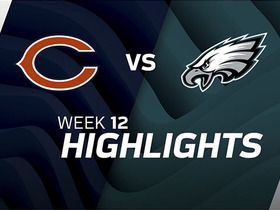 Check out highlights from the Philadelphia Eagles 31-3 win over the Chicago Bears. 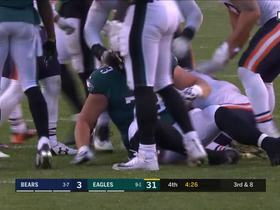 Chicago Bears linebacker Isaiah Irving recovers a fumble by Philadelphia Eagles running back LeGarrette Blount.